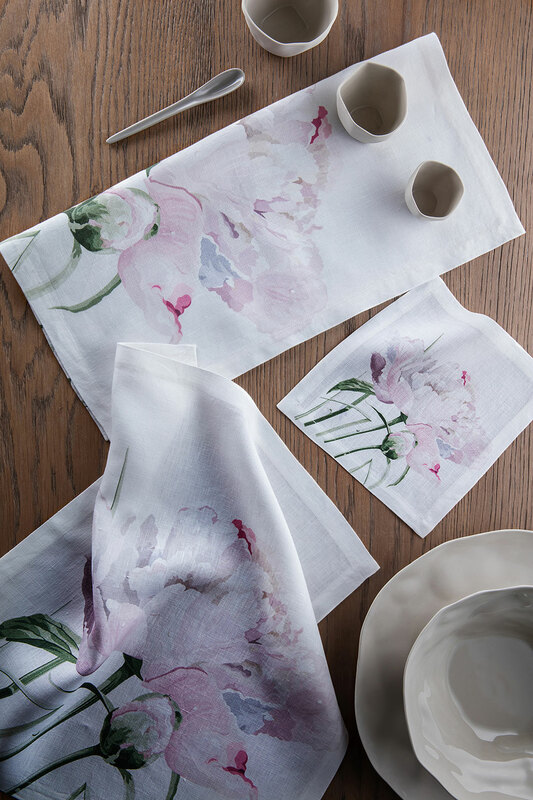 Rosely is our most festive design with a romantic aesthetic, it is a wonderful design to add to our luxury table linens. 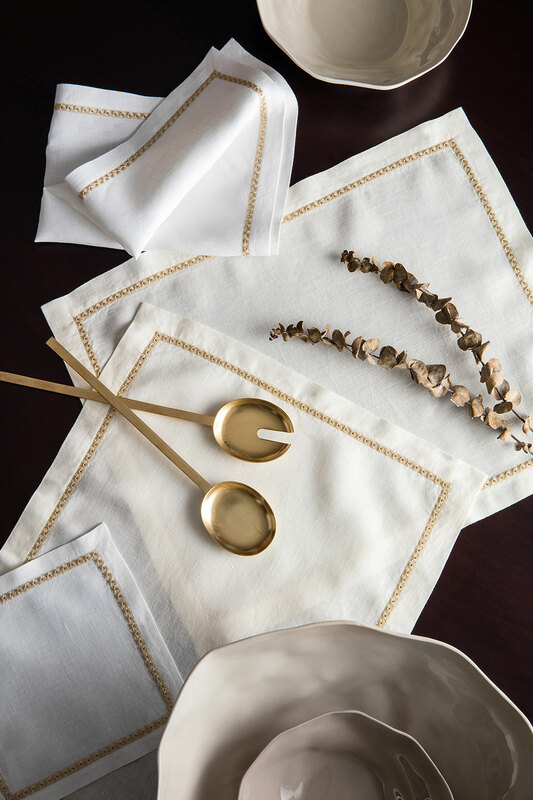 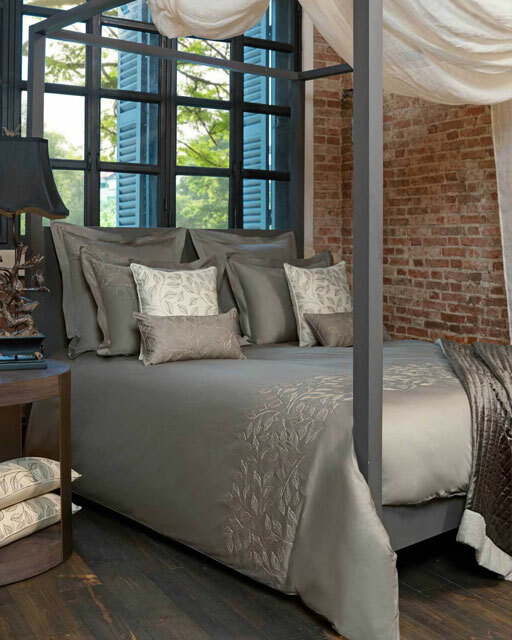 It boasts a fantastic gold stitching which creates a gorgeous metallic contrast with the fabric. 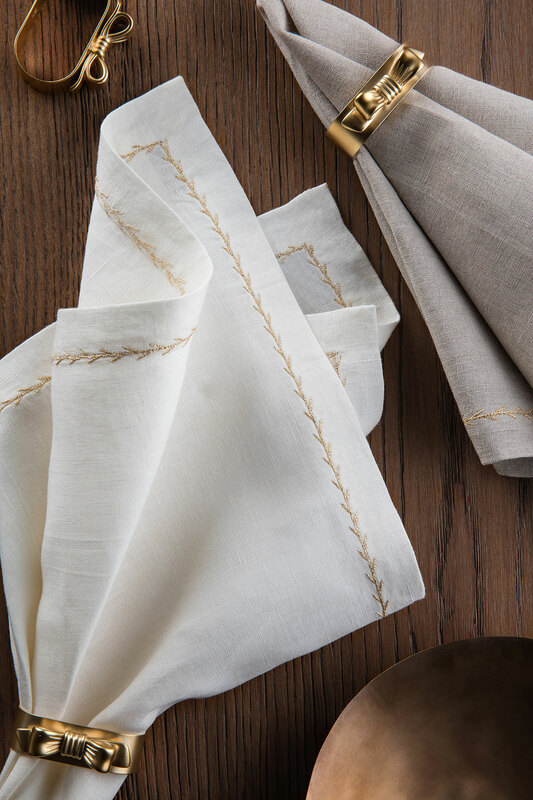 This pattern is embroidered on the edges of our napkin range, placemats and as a centre piece on the table cloths. 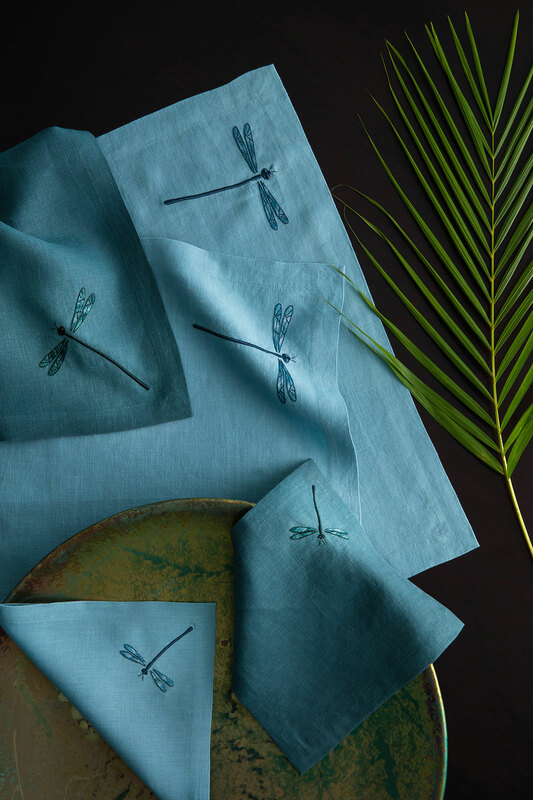 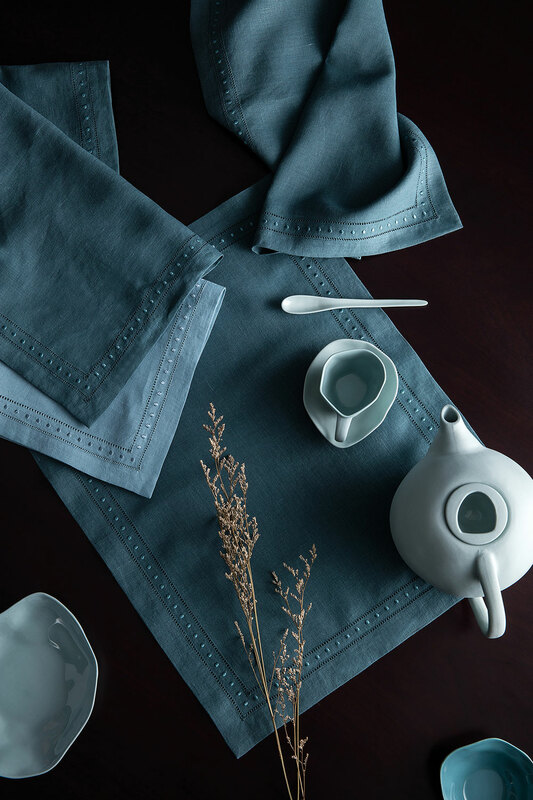 The wide variety of colours of our linen from our soft warm white to our vivid dark teal allows for a multitude of choices to suit any special occasion. 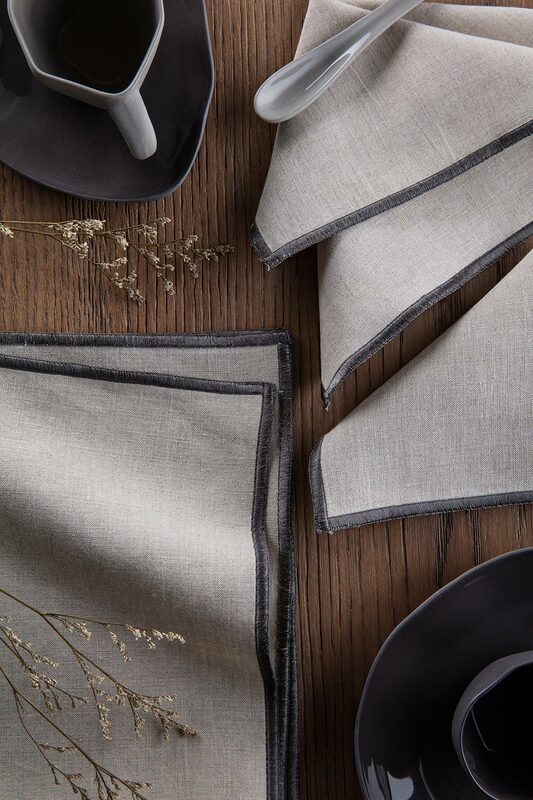 Add these to your dining sets to create a joyful atmosphere when celebrating.